Arsenal Win The World Cup! Many congratulations to our German boys for winning the Fifa World Cup! 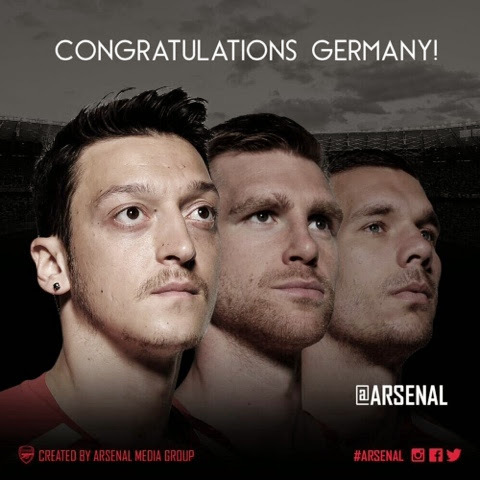 Mesut Özil, Per Mertesacker and Lukas Podolski.